What Counts as a Valid Will in Florida? When someone dies in Florida, any property owned by the deceased must go through a court process called probate before it can legally be transferred to someone else. Probate applies to individuals who die with a valid will as well as those who have no estate plan. Only those assets subject to probate administration can be overseen by the courts, including assets solely-owned by the deceased or jointly-owned property without a mechanism for automatic transfer upon death. These assets are subject to the claims of outstanding creditors, and will be liquidated and/or distributed to settle valid claims of this kind. 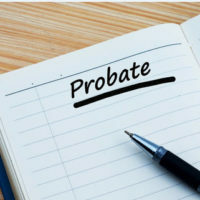 The complexity of a probate estate often depends upon whether the deceased executed a clear and well-drafted will, and the extent and type of property he/she owned. Executing a will makes it easier to identify all the relevant property in the estate and to transfer any remaining assets once probate is concluded. Traditionally, and under current law, valid wills in Florida must be written, with the underlying understanding being that the document would be memorialized with pen and paper. A new bill moving through the state legislature would explicitly permit electronically-generated wills as a new alternative. An overview of how to create a valid will under current law, and how the proposed bill for electronic wills would work in comparison, will follow below. it must be signed in the presence of at least two witnesses, who must also sign the document in the presence of each other and the testator. Anyone who qualifies as a legal adult, typically when a person turns 18, and is of sound mind, is legally able to create a will. No particular language is needed to confirm validity if the formalities listed above are followed. In addition, any amendments to a will must follow the same execution procedure, or it will not be incorporated upon the testator’s death. The proposed legislation, called the Florida Electronic Wills Act, would revise the current statutes to include wills created and stored electronically. The bill is currently on the governor’s desk for signature, and thus is quite likely to become law as of July 1, 2017. The bill would allow a testator to sign the will electronically, and the witness requirement would be considered satisfied, even if the signers are in different locations, as long as communication was available by a live video or audio conference. Unlike current law that does have a system for the storage of a will after execution, electronic wills would have to be held and maintained by a qualified custodian who certifies she/she has a system in place to keep the document secure and confidential. The custodian must be a resident and live in Florida, or have a business incorporated here to serve in this capacity. Additionally, the custodian cannot be named as an heir in the will. This legislation reflects the infiltration of technology into all areas of life, but it does open the door to the exploitation of the mentally vulnerable and the threat of cyber attacks. How this law could operate in the real world remains to be seen. When a family member dies, you need an experienced probate attorney to take you through the confusing probate process. Mishandled probate cases can have devastating financial consequences for a family, and need the care and attention offered by Fort Lauderdale attorney Joyce A. Julian, P.A. Her background as a judge and forensic accountant will help to keep the process efficient and fair. Contact her office for a free consultation.